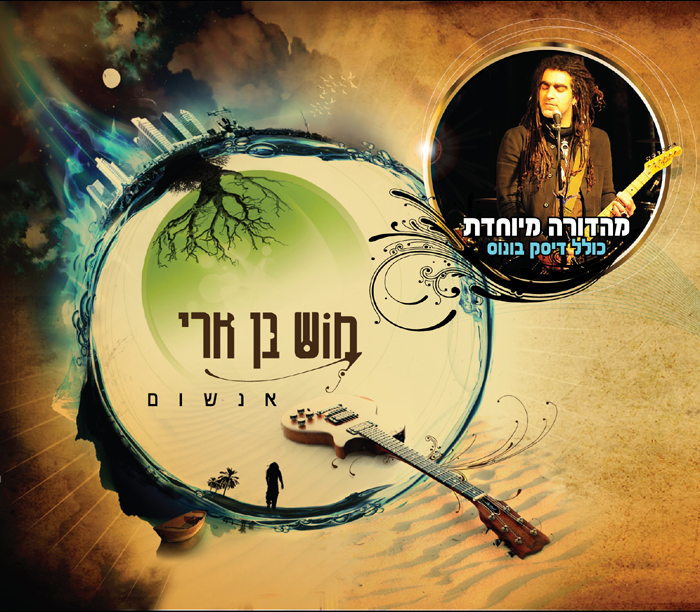 The latest album of Israeli Musician Mosh Ben Ari's music , this 13 song CD will have you tapping your toes. The recently released album of Mosh Ben Ari is “Enshom” (I Will Breathe), which came out in 2009. The latest of the Israeli musician’s album, it’s a sure winner for anyone who enjoys ethnic music. The combination of reggae, world music, soul and rock define his style and unique taste in music. The Israeli composer and lyricist comes from a Yemenite and Iraqi background, living and growing up in Israel. The traditional songs he heard while growing up piqued his interest in music, encouraging him to learn music at the age of sixteen. He has since learned music in different parts of the world, such as India, Sahara and Sinai, and excelled in various stringed instruments, including the Turkish jumbush, the Persian tar, the Indian sarod and classic and acoustic guitar. The blend of these Middle Eastern instruments give his music an ethic and traditional sound. His first musical endeavor was a band formed in 1997 along with friends. The band went on to perform globally and still appear for prestigious events and occasions. Ben Ari later went on to release solo albums, starting in 2001, with his debut. This album is the fourth of the talented musician’s release, along with one live performance 3-disc set. The thirteen tracks on this album are written in Hebrew, the Jewish and Israeli language, while the background has many stringed instrument rarely heard. Along with his rich and unique voice, Ben Ari’s style of music is a treat and a great gift for any occasion.